Does the Oblivion Reloaded Terrain Shader make Detailed Terrain ( www.nexusmods.com/oblivion/mods/15245 ) unnecessary? There seems to be a bit of a disagreement on this one at Nexus. Yes, Detailed Terrain is completely unnecessary now. What it does is now incorporated into OR. Hello! I'm sorry, I use a translator. 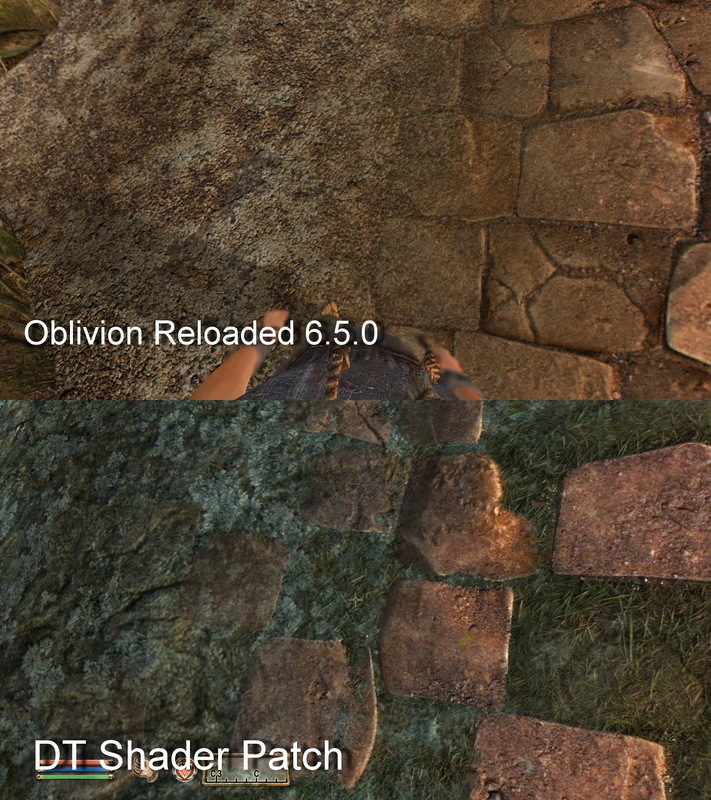 DT Shader Patch does not work with oblivion reloaded. It does not work in the oblivion reloaded itself and when you try to install it separately, the game crashes. You shouldn't use Detailed Terrain with Oblivion Reloaded. All of it's changes are merged in OR. There is no difference. Mixing is the same as in vanilla. Just to be clear, i didnt "include" detail terrain in OR. OR has its own terrain shaders and OR replaces the shaders internally. So, EVERY shader you put in the shader folder will be "replaced" by OR's one if it is enabled. 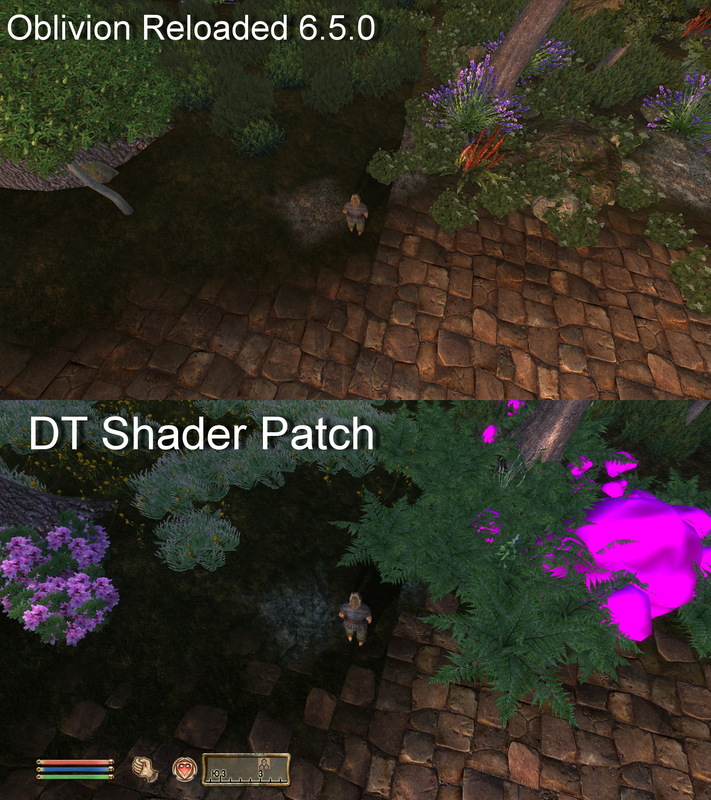 Then, it has no sense to use DT when OR terrain shaders are enabled because anyway OR overrides EVERY terrain shader (vanilla and not vanilla). Is it possible to organize support for this mod? He is very decorated with landscapes and masks dull and straight joints. 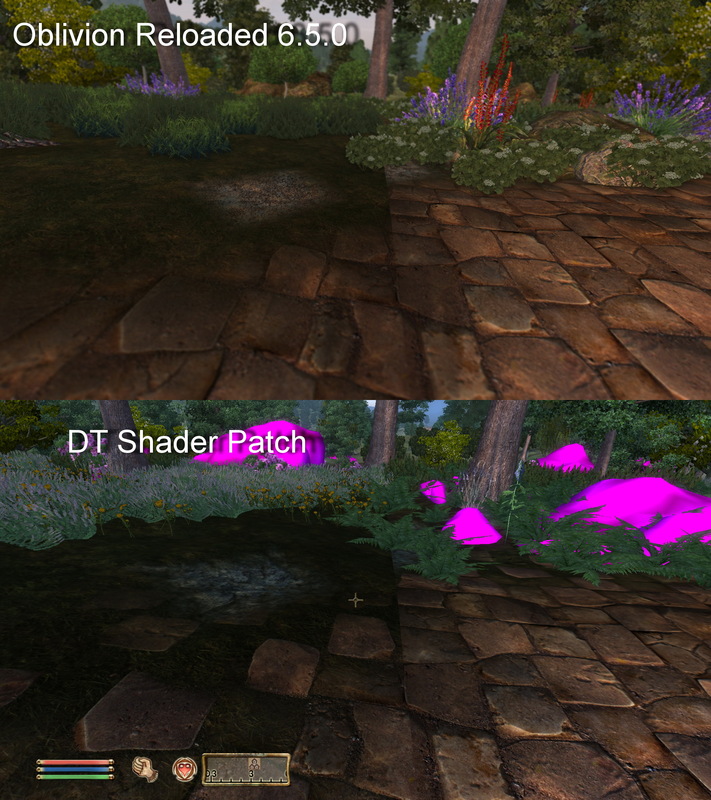 You cannot use BOTH.....i dont understand........if you want to use DT terrain shaders instead of OR terrain shaders, disable the terrain shaders in OR. Read the manual, it has been written for a reason. I've done it before. Turned off the terrain shaders and used DT. But with version 6.5 it does not work. The game starts to crash. Moreover, after that it is impossible to repair anything and have to reinstall the game again. I will take a look because when OR terrain shaders are disabled, i dont know why it should crash. As a long time lover of Detailed Terrain I would be really delighted if you could find a fix Alenet as I would love to use OR in the future.